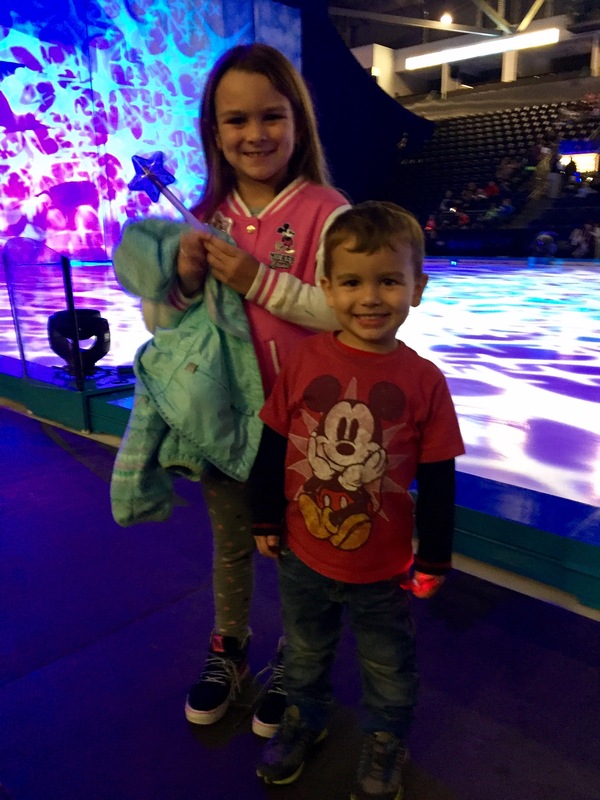 We had the most magical time at Disney On Ice earlier this week, and I’d love to share some tips that saved us money and made it a great experience. 1. Dress in Disney! 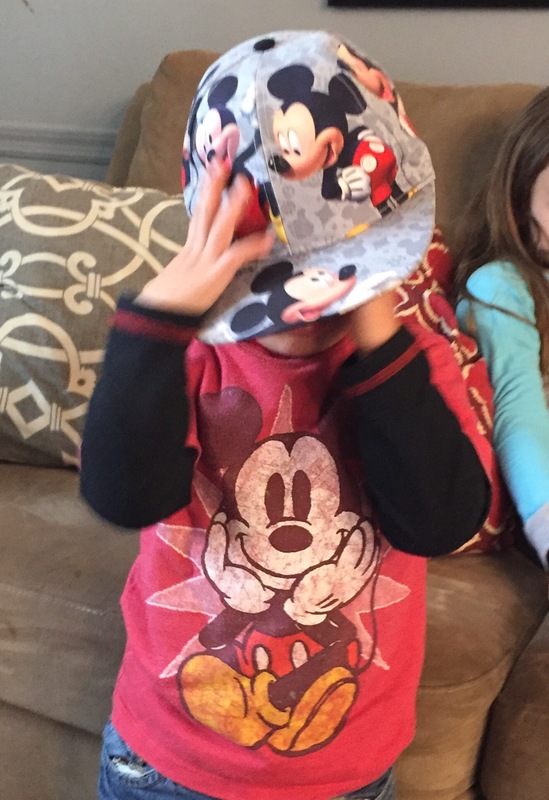 Add to the fun and make it extra special by letting your kids wear their princes dresses, Disney costumes and obnoxious Mickey shirts, hats, and swag. I even busted out my Minnie Mouse shirt and some bright red lipstick for the occasion. 2. Dress for ice and wear layers. It can be cold in a room with ice floors. While I support letting your kids wear princess dresses, do put on leggings and layers, wear warm shoes, and bring a coat. 3. Buy glowing gear and light up toys ahead of time. The ice is lit up, the show room is dark like a theatre, and there’s glowing and light up fun for sale all around at about $30-50 each! I had a glow stick princess wand, a Cars glowstick, and a stick on Frozen badge that flashes with colorful lights. You can find them at party city or the dollar store. Stash a few in your purse ahead of time. When you walk in the even center and your kids both see light up treasures and wands, say “check out this present I already got you!” They will be delighted and you just saved a ton of cash! It’s a win-win. 5. Pack some snacks and sweet treats. I packed a small water bottle (less liquids = less bathroom trips) and some snacks in my purse. If you have character/Disney water bottles or soppy cups then bring them pre-filled with a beverage. They will be selling fun Disney cups full of lemonade for like $15-$25 each. They also sell cracker jacks, popcorn, and cotton candy – again, all fun things you could buy ahead and bring. 6. Leave way early. Expect traffic near the times of these events, give yourself lots of time to get there, park, get inside, use the bathroom, enjoy the Disney booths (they even have a photo booth! ), find your seats, and get comfy. The show starts right on time, and if you get there early there’s a lot to see and do until the show starts. 7. Walk past the first bathrooms. The ladies room had a HUGE line, the second ladies room we found had a smaller line, we kept walking and found a third one with NO line. Yahoo! Bathroom break was done before intermission was over. Don’t hesitate to ask a staff member where more bathrooms are, they are super helpful. 6. Now that I saved you literally hundreds of dollars on glow sticks and lemonade and snacks, splurge on some good seats. I felt it was worth the extra money for awesome seats. We sat in the VIP area in the very first row. The characters were right there and they waved and smiled and we got amazing picture of the whole thing! 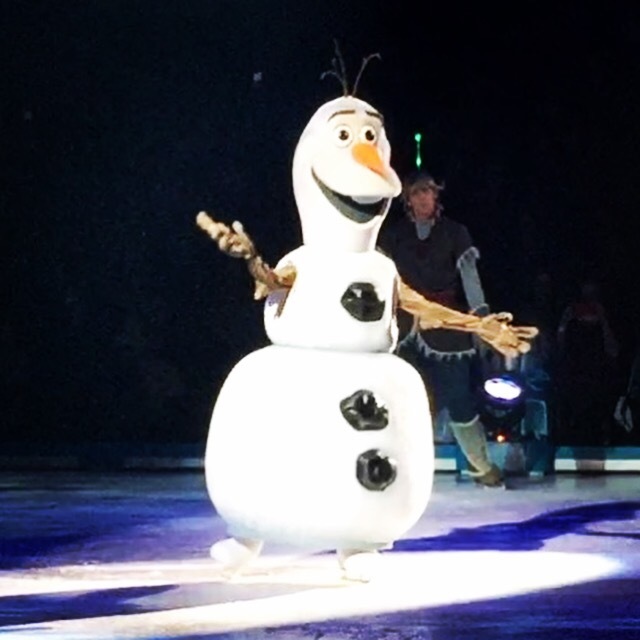 It was worth every penny to have an “on the ice” ticket. Even if you don’t go for front row seats, if you’re going to spend the money and time on this special adventure, I encourage you to at least get some good seats. 7. Bring cozy blankets for the car ride home. 7. We went to a 7:00 showing and the show is 2 hours. It took about a half hour to get to our car and out of the parking lot, plus we had another hour car ride to get home. It was late and the kids were tired and they were happy to have their favorite cozy blankets in the car to fall asleep with. No need for a “it’s time for bed when we get home” talk. We just loaded up, got cozy, waited patiently to get out of the jammed up parking lot, and had a peaceful ride home while the kids were both fast asleep. 8. Bring your patience and stay focused on your goal for the night. Sometimes I mentally prep for stuff like this and remind myself – my main goal is to make this a fun and special family experience. And then when your toddler has to pee right during the show, you take a deep breath and take him potty with patience without worrying about missing part of the amazing show. When the traffic is bad, you relax and don’t mind because you left early and have plenty of time. When their candy spills or something goes wrong, you handle it with a light heart because you remember your goal is to help them have a good time. 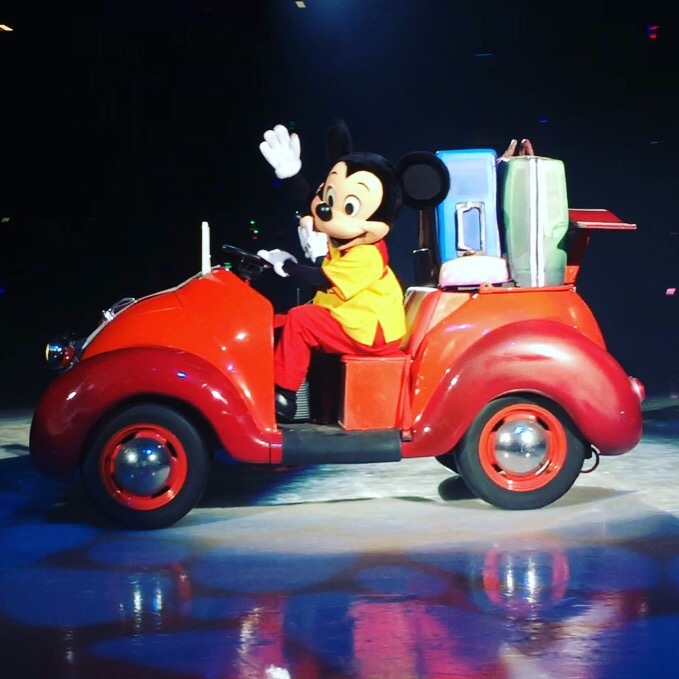 What other tips do you have for Disney On Ice or other similar family adventures?